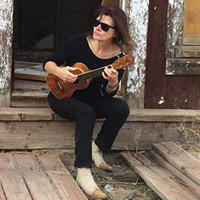 Jennifer Knapp pays tribute to the late great B.B. King in The Huffington Post. Read her blog here. 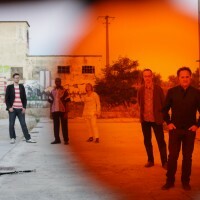 Watch a recording of David Krakauer’s Ancestral Groove at Jazz sous les pommiers through Culturebox here. 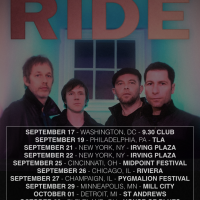 Ride, fronted by UFO artist Mark Gardener, have announced new East Coast dates! Catch Serge Gainsbourg: A Fistful of Gitanes and I’m Your Man: The Life of Leonard Cohen author Sylvie Simmons this weekend at Filbo Feria del Libro in Bogotá, Colombia. United For Opportunity is proud to release, for the first-time on ebook, a New Expanded Edition of Serge Gainsbourg: A Fistful of Gitanes by Sylvie Simmons, the award-winning rock writer and the New York Times Best-selling author of I’m Your Man: The Life of Leonard Cohen. 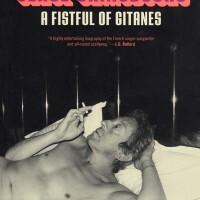 Originally published in 2001, long out of print and never until now available digitally, A Fistful of Gitanes was the first biography in English to capture Gainsbourg in all his gleeful outrageousness and contradictions, and counted Gainsbourg’s longtime partner Jane Birkin and legendary novelist JG Ballard among its avid fans. Simmons’s work will stand as the definitive take on a dizzying genius. This new edition, which includes an expanded discography, will be available digitally in English, Spanish, Portuguese, German, and Japanese is available exclusively through Amazon.com starting today here. Catch Jennifer Knapp on tour in the Midwest and East Coast this month! 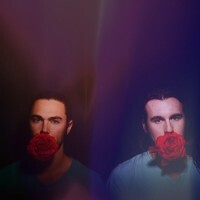 We’ll be catching her April 24 at Rockwood Music Hall in NYC. 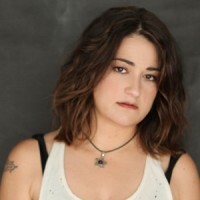 Watch Jennifer Knapp’s live full band performance of “What Might Have Been” featuring Robby Hecht at 3rd and Lindsley in Nashville.